May 9, 2018 (Tony Cartalucci - NEO) - The so-called "Iran Nuclear Deal," officially known as the Joint Comprehensive Plan of Action (JCPOA) signed on 2015 now under threat by a backtracking US - was billed at the time of its signing as a historic agreement that provided a path forward towards peace between the US and Iran. The 2015 nuclear deal struck between Iran and six world powers - the US, UK, Russia, France, China, and Germany - was the signature foreign policy achievement of Barack Obama's presidency. The initial framework lifted crippling economic sanctions on Iran in return for limitations to the country's controversial nuclear energy programme, which international powers feared Iran would use to create a nuclear weapon. But while the agreement has been hailed as a "signature foreign policy achievement," it was, before even its inception - not a vehicle towards peace - but a cynical ploy to justify future war. And from 2009 onward, this is precisely what the United States set out to achieve. 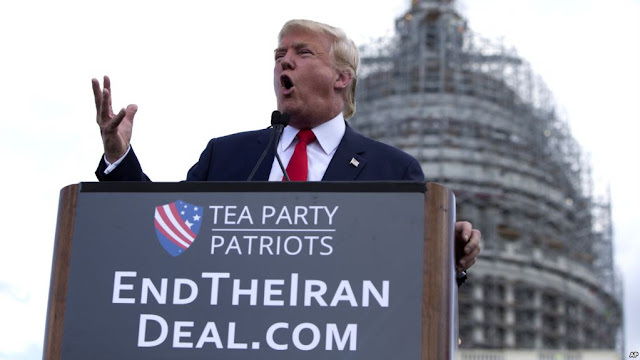 First with US President Barack Obama's signing of the 2015 JCPOA, up to and including current US President Donald Trump's attempts to backtrack from it based on fabricated claims Iran failed to honor the agreement. Today, attempts to cite "chemical weapons attacks" and recycle 2003 "weapons of mass destruction" narratives to fan the flames of America's multiple and perpetual global conflicts are failing to persuade increasingly skeptical audiences. 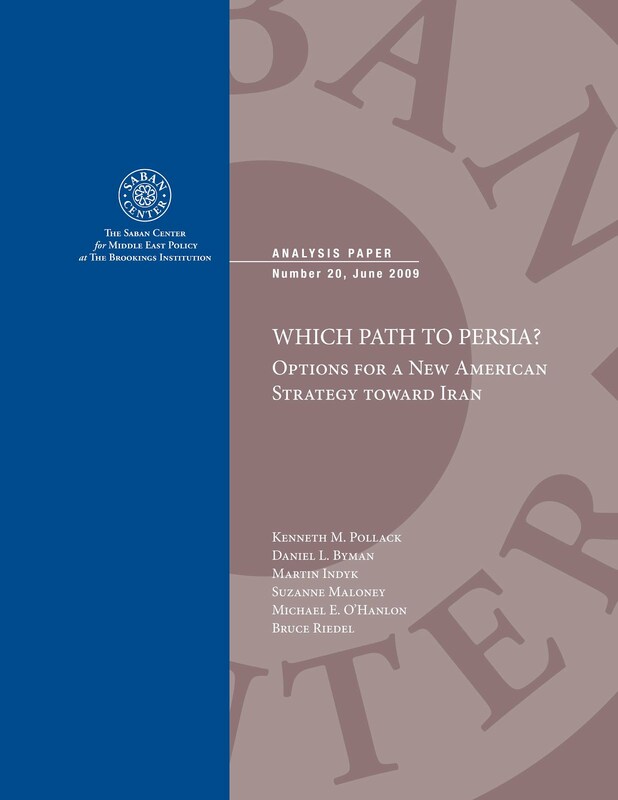 The "game" - as Brookings policymakers called their attempts to covertly provoke war with Iran in their 2009 paper - they had hoped to hide from public view, is now exposed - dissected and displayed by independent analysts and national media organizations with unprecedented reach into global audiences once solely dominated by Western propaganda. During Israeli prime minister Benjamin Netanyahu's April 30th press conference regarding "evidence" that Iran was still pursuing a nuclear weapons program, his presentation had barely concluded before it was picked apart and exposed as little more than a poorly conceived charade designed to undermine the "Iran nuclear deal." 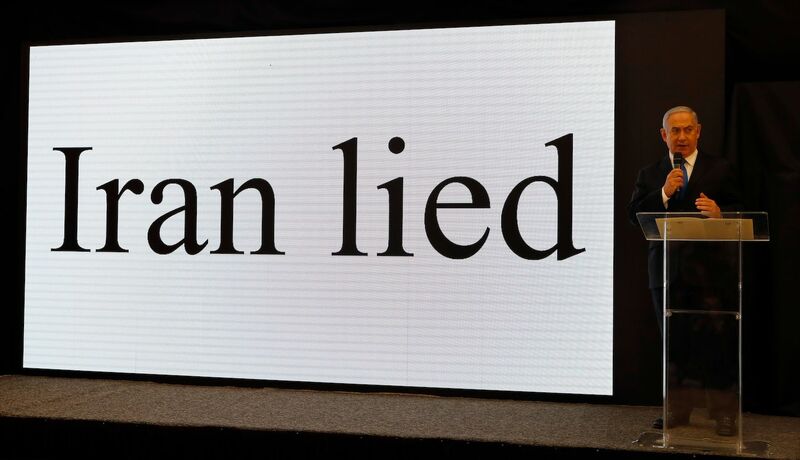 Prime Minister Netanyahu's presentation was so anemic that even Israel's Haaretz newspaper featured editorials with headlines like, "Netanyahu and His Lonely War on the Iran Nuclear Deal." The entire "Iran Nuclear Deal" was conceived, promoted, and then intentionally sabotaged at the cost of years of propaganda and public displays as well as both public and behind-the-scenes diplomatic maneuvering. That the US currently lacks a legitimate pretext to not only betray the JCPOA, but to pursue further sanctions, provocations, and eventually war with Iran will not stop the US from trying - or having a sufficiently self-demonized Israel try on Washington's behalf. Israel's growing role in provoking both Iran and Syria is a signal of US desperation. Brookings and other analysts both for and against US aggression toward Iran note that Israel itself is incapable of toppling the governments residing in either Damascus or Tehran. Israel's role instead is to provoke a conflict and retaliation - or even stage what appears to be Syrian or Iranian retaliation - to then draw in the United States who may be capable of toppling either or both governments. 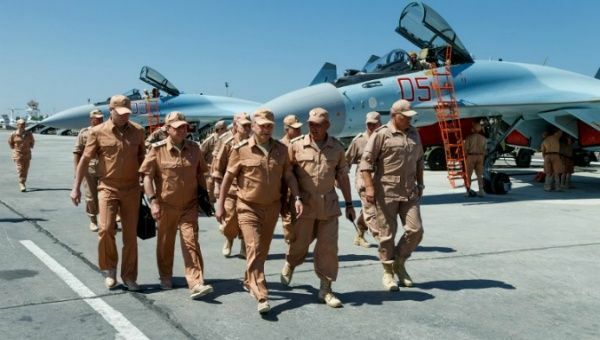 Russia's presence in Syria from 2015 onward has greatly complicated even this plan - which was written out in great detail in Brookings' 2009 policy paper. Brookings policymakers seemed to have laid out a plan that was clearly put in motion - but a plan that never considered the possibility of Russia intervening directly in the Middle East and placing itself between both Syria and Iran and nearly two decades of US regime change across the region. 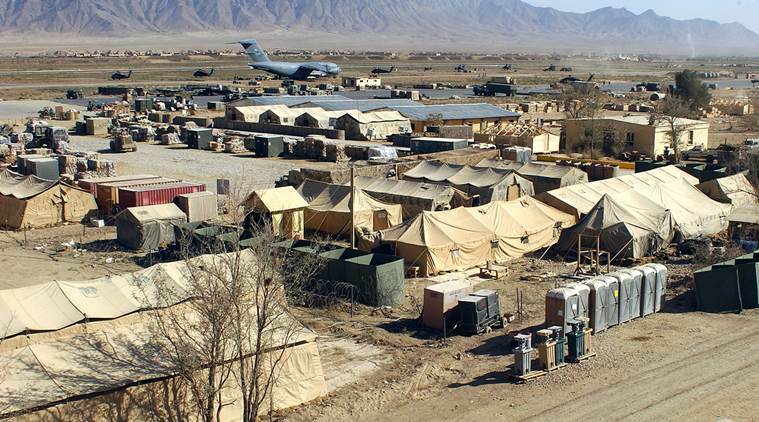 America's clumsy warmongering represents an agenda with massive momentum that has jumped the proverbial tracks and through its mass and speed alone continues traveling forward. For Syria, Iran, and all other nations sure to be targeted next should either or both nations fall to US military aggression and global hegemony - managing America's derailed agenda and minimizing the damage it causes while gradually grinding it to a halt will require patience, persistence, and unfortunately many years more of conflict, chaos, and loss of life. Preventing the US from sparking a wider conflict in the Middle East or through more patient and persistent means achieve its goals by partitioning territory and perpetuating bloodshed - will be key to undermining its efforts in Eastern Europe and Asia Pacific, as well as transitioning away from a Washington-dominated unipolar world order, toward a greater balance of global multipolar power.